Nothing has ever been more frozen than this cat. 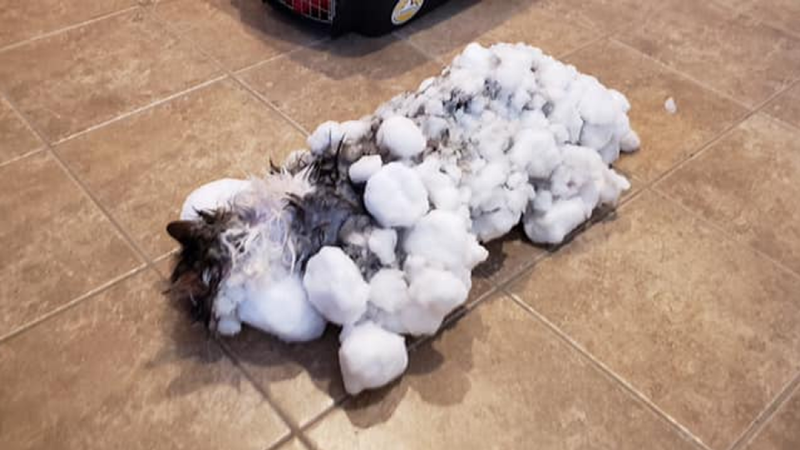 First of all, it is absolutely OK to laugh at that picture of the cat frozen beyond all belief because as the headline establishes – Fluffy the cat survived against all odds. 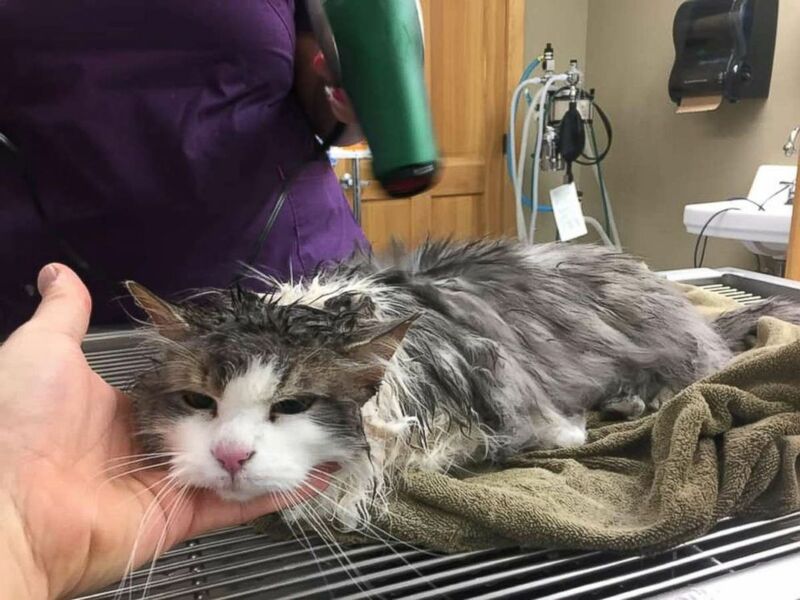 Her owners discovered her buried in the snow near their Kalispell, Montana home on January 31st. In fact when she got to the clinic, 3-year-old Fluffy’s temperature was below 90°F – so low they couldn’t measure it on a thermometer. A cat’s usual temperature is around 100°-102°F. She was so frozen they couldn’t even get the IV in her initially. They used a few different methods to raise her body temperature: warm water, hair dryers, heated towels that were rotated out. And finally, we put her in heated kennel. 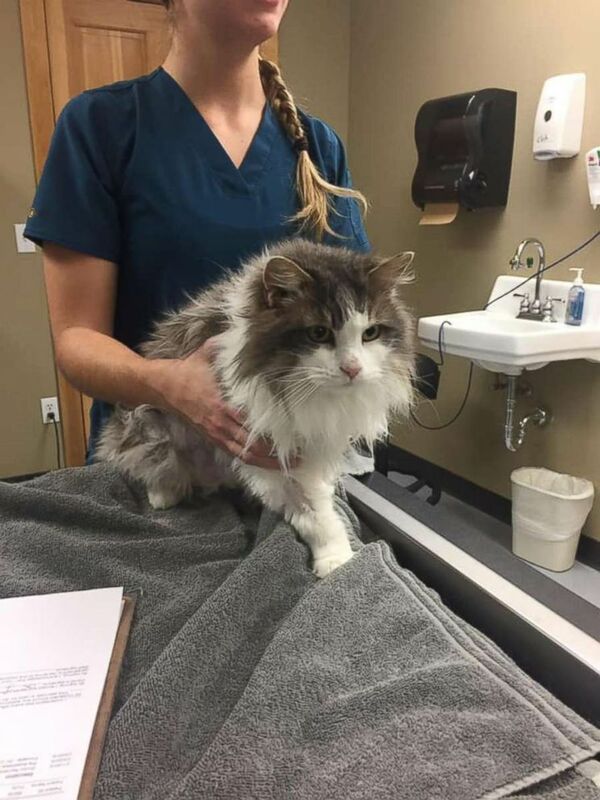 Fluffy spent one night in ER before being returned safely home. I don’t think I’ve ever seen anything more frozen than that cat that wasn’t already dead. I mean she’s basically an ice cube in that photo. Shout out to whoever took the pic because you’d think they’d be scrambling to find a hair dryer or some warm water or anything that could improve the situation. Although to be fair they probably thought the cat was 100% dead when they found her. 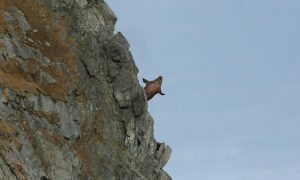 Not this time, humans. Still got 8 more lives to go. For the Sick Chirpse rundown of the top 10 cats of all time, click HERE.